Brooke is a co-founder and Principal at Agriculture Capital, where he focuses on investment strategy, portfolio management and acquisitions. Brooke brings over 16 years of investment experience to Agriculture Capital. 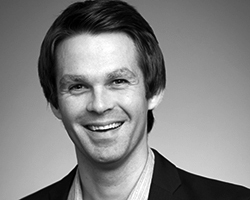 Prior to co-founding AC, Brooke was a Principal at Equilibrium Capital which he joined in 2009. At Equilibrium Brooke was active in evaluating opportunities in the energy, water, timber and agriculture sectors, including the efforts that ultimately led to the founding of Agriculture Capital. Brooke believes that we can create a regenerative food system at scale, and that doing so requires bringing together a diverse set of people and talents. He also believes that a regenerative system must include better access to healthy food for more people, while having a positive impact on the communities in which our food is grown and packed. Prior to joining Equilibrium, Brooke was a founding team member of Unitus Capital, one of the first boutique investment banks focused on the microfinance and social enterprise sectors, based in Bangalore, India. Prior to Unitus Brooke was a member of the initial team that built Quellos Private Capital (acquired by BlackRock, Inc.) where he was responsible for making investments in private equity, venture capital and real assets funds. Brooke has a B.A. in Finance from Washington State University, and is a graduate of the Honors College.